St Patrick’s Cathedral in Parramatta, Australia has a position open for an Assistant Director of Music. This post might well suit a postgrad and details are available below. 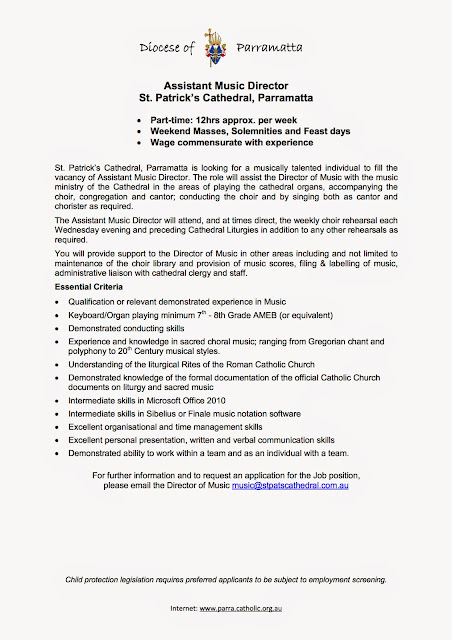 In addition there is information about the Cathedral Music Department available here and the music list for Holy Week 2014 is available here.